The agency, however, said that Hwa-young’s departure has nothing to do with the speculation that she has been ostracized by the group for not showing “enough determination” to be on the stage whereas other members in the past had performed despite injuries. The announcement came three months after that the agency said T-ara will adopt a nine-member system. It said it would replace old members, in order to maintain the group’s popularity and to survive in a fiercely competitive pop music market. Kim then admitted that some members have changed since their debut, making less effort and becoming arrogant. Core Contents Media CEO Kim Kwang Soo returned to Korea a day earlier after he heard the news about T-ARA. Him, 19 staff members and T-ARA met all together to hold a meeting. Hwayoung’s twitter later revealed, “Facts that aren’t true,” making people think that there is something more to the story. After Hwayoung’s termination, members Ahreum and Dani joined the group making T-ARA a 8 member group instead of 9. 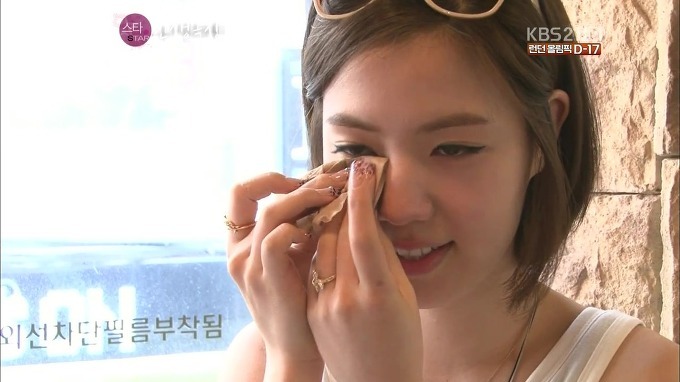 Hwayoung, who had been the rapper of the group, joined T-ARA in July of 2012 and was the 7th member to join.